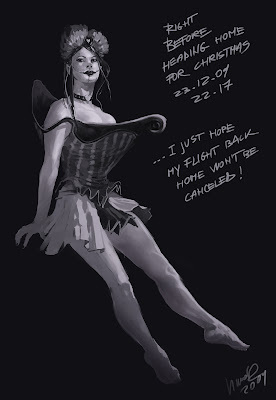 Well, finally I'm about to fly back to Romania tomorrow for a small Christmas vacation! And since I was bored before my flight, I nudged my old wacom pen a bit and did some quick sketches for my portfolio. It's been a pretty long time since I updated it so it was about time. Quick paintings as usual. 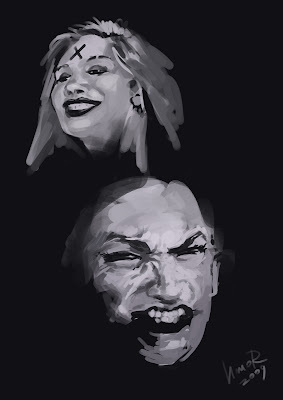 Started playing with expressions on faces and the guy eventually started looking like the Joker... Same goes for the mime. It's all about her expression.